SET has built a backpack for the modern day travelers that carry a lot of electronic gear like smartphones, tablets, and cameras. Why? Because using technology to document and photograph the places you have been being important, and people like us move into setbacks on our way. With the help up of this technology backPack, you may easily travel fully charged, safe and organized on every journey. 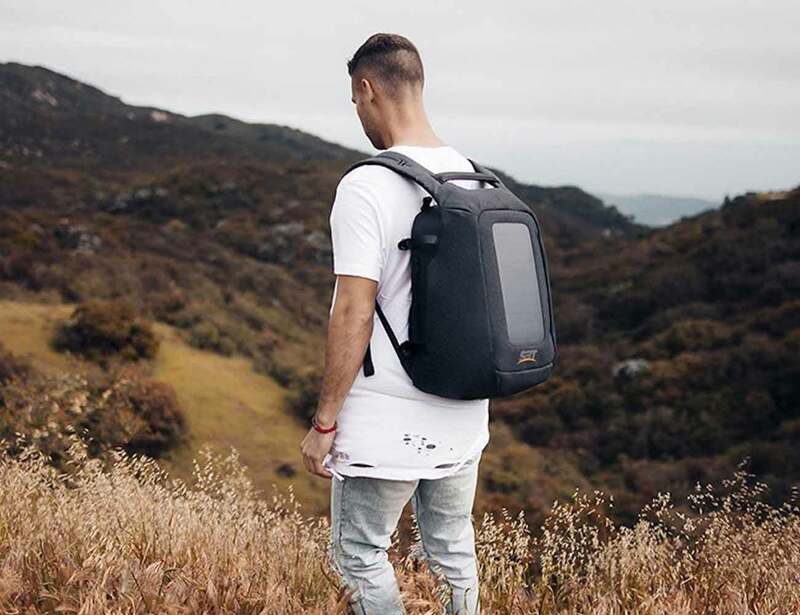 The Numi device packs is an intelligent 20- or 30-liter innovative backpack that incorporates a 7-watt solar panel to power an 11,000mAh or 22,000mAh battery pack, with two integrated USB 3.0 ports securing your smartphone, tablet, and other gadgets are always ready to use. An easy-to-reach smartphone holder enables you to quickly grasp your handset at any moment, while other holders are built-in for sunglasses and a water bottle. The smart travel backpack covers hidden zippers to give would-be thieves a hard time, and five hidden compartments inside and out, offering you greater peace of mind when you’re on the road. The large bag also holds a separate, detachable section for your camera or correspondingly shaped device (or your lunch! ), as well as a detachable waterproof clothing sleeve for your clothes, whether freshly washed or stinking of the previous day’s adventure. You will find a detachable laptop sleeve, too, so you can travel a little lighter by detaching it if you decide not to take your computer with you. The Numi is also water repellent, but an included rain cover will make sure your stuff stays protected if you are caught in a particularly heavy storm. It has clearly been careful to think about what’s important when you are on the road, the result being a stylish-looking bag that aims for a more efficient and safer travel experience. 5 secret and easy access side pockets, Laptop section (detachable), a Camera section, Comfortable and adjustable soft straps with easy access zipper pocket. Flexible side straps, a Water container holder, Tablet/book compartment (back of the backpack). Separate sunglass section, Suitcase connection, strap easy access camera, compartment, Easy access passport, compartment, Key tether, Two removable compartments inside for optimal organization. The laptop cover may carry a 15″ laptop, cables, mouse, pen, pencils, and business cards. The camera compartment fits the DSLR camera body, one or two separate lenses (depends on the size) and sd cards. The compartment is removable and it’s easily accessible from the lower back of the backpack.